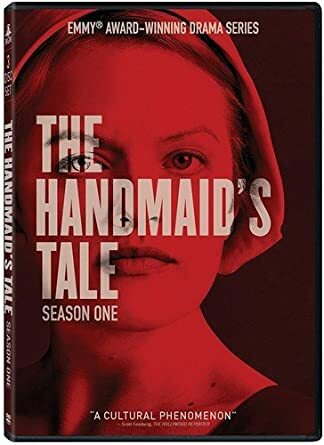 Some adaptations, like Margaret Atwood’s The Handmaid’s Tale and Game of Thrones, have been highly successful and critically acclaimed. Some have disappointed both. What is your favorite episodic adaptation? And which one are you anticipating the most? For me, it’s Nnedi Okorafor’s Who Fears Death. And, if you want, tell us which adaptation missed the mark by the widest margin for you. One random commenter with a USA mailing address will win a book of their choice from our Stacks. I didn’t care for the books in Game of Thrones nor was I interested in Handmaid’s Tale. So I did not watch any of their series. I have not seen any tv series that I would like to watch so far. Outlander is my favorite TV adaptation because it makes me want to travel to historical Scotland, France and America (despite the horrible social issues and diseases). I’m looking forward to the Wheel of Time adaptation, because the series deserves recognition. I love The Magicians (syfy) and am waiting for Good Omens. I have high hopes since Neil Bauman was the showrunner. I am really enjoying The Magicians. I like The Expanse, and I’m glad Amazon picked it up when Syfy dropped it. I also like Game of Thrones. I think I tolerate “divergences” because the novelists are involved in the TV productions. I’m looking forward to The Broken Earth and Who Fears Death. 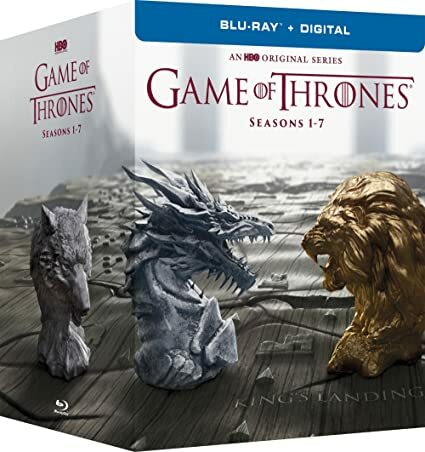 Game of Thrones is currently my favorite adaptation on TV. Even though I’m not usually into a lot of violence, the story and characters are so compelling. I haven’t read the books, though my husband and son have. On that note, I’m looking forward to George Martin’s Nightflyers adaptation on Syfy, to see if it’s equally as good. The Magicians is one of the few programs where as soon as there’s a new episode, I have to see it. I can stay up and watch the DVR until it’s finished no matter how late it is. The Broken Earth is great; I hope the adaptation takes off. I wish they would adapt Tamora Pierce’s Circle of Magic, and do a new Neverending Story closer to the novel. I’m really looking forward to The Broken Earth and Who Fears Death. I hope the latter fails to materialize. I hate to disillusion anyone, but Nnedi Okorafor was my son’s thesis advisor and she’s a horrible person in real life who taunted him about his Asperger’s Syndrome. Then when we attempted to meet with her about it, she would not write him a recommendation letter despite his having been indispensable to her for three years and covering important parts of the job she was supposed to be doing at UB for her. She’s a user and a delusional narcissist on a level I can only compare to Trump. And wouldn’t meet with or communicate with us, which is why I say ‘attempted’. TDP, I’m very sad that this happened to your son. Thank you. It gets painful for us to see her and her writing being praised by people who don’t know what she’s really like. Although my son points to the characterization of the sacrificial mute, mentally disabled boy in “Lagoon” as a good example of her idea of the mentally and socially disabled community, particularly the language in his death scene. ‘His mind cleared and in that moment if he’d had something to say he could have said it’ or somesuch. Yuck. He exists only to die and make the protagonists feel bad, which is a trope she of all people should know better than to use. My son felt too intimidated to ever mention this to her. Not only did she taunt him, she said she was having fun doing it and could have even more fun if she wanted to. Well, I liked the first, sitcom version of “Sabrina the Teenaged Witch,” and I’d like to see the new, more thrilling version! –And I could never watch “The Handmaid’s Tale.” –And I’d like to watch “Game Of Thrones,” but I’m afraid I would be covering up my eyes half the time! Foundation is one of my favorites, and I’m looking forward to it as well. The others I hadn’t known were expecting TV adaptations. Heard good things about “Hyperion” and “The City and the City”, and “Snow Crash” is an excellent creation that I’m close to finishing reading. I’m really interested to see what they do withe SNOW CRASH. I’m looking forward to the Wheel of Time adaptation for sure but I have reservations. The couple of book series that I enjoyed that have been adapted were not my cup of tea (Outlander and Shannara) and none of the other adaptations are of books that I enjoyed so I haven’t tried them. Though Foundation might be really interesting and while I didn’t hate the books, I had an entire semester of studying the books as political thought inducers that was pretty dreary so not sure I’d enjoy a tv series based on it. I can’t wait for WITCHER! They’re doing WITCHER? Wow, am I behind the times. I forgot about that one! Yes, with Henry Cavill starring. Whaat??? Ok, I’d be in for that one! Bobby Berry, if you live in the USA, you win a book of your choice from our stacks.